An evening of poetry and prose, reflecting on issues of gender, identity, strife, and resilience. Readings by Syrian-Canadian author Ghada Alatrash are accompanied by live music from the co-founders of the New York Arabic Orchestra, Bassam Saba and April Centrone. A Q&A with the artists and a book signing with Alatrash, author of Stripped to the Bone, follows. Ghada Alatrash is a Calgary-based author and translator who recently published a collection of stories, Stripped to the Bone: Portraits of Syrian Women, featuring seven fictional portraits of Syrian women. Set between war-torn Syria and the West, this collection shows the passions and predicaments of modern Syrian women. Alatrash has also translated a collection of Arabic poems by Youssef Abdul Samad published as So that the Poem Remains. She and other Syrian artists were recently profiled on PBS NewsHour. Alatrash has an M.A. in English Literature from the University of Oklahoma and is currently a doctoral student at the Werklund School of Education, University of Calgary. Bassam Saba is Artistic Director of the NYAO, a virtuoso, acclaimed multi-instrumentalist, educator and world renowned authority on Arabic music. 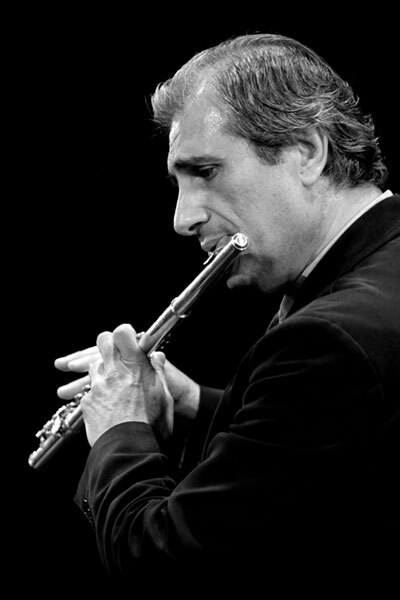 He studied at the Lebanon National Conservatory and also holds degrees from the Conservatoire Municipal des Gobelins in Paris and the Gnessin Musical Pedagogical Institute in Moscow. 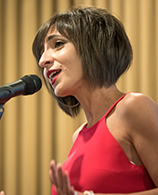 Saba has performed in prestigious venues such as Carnegie Hall and Lincoln Center, and has worked with renowned artists such as Fairouz, Wadi’ El-Safi, Majida El-Roumi, Yo-Yo Ma, Sting, Alicia Keys, Santana, Herbie Hancock and Quincy Jones. April Centrone is Executive Director of the NYAO, one of the leading classical Arabic percussionists in America, as well as a teacher and music therapist. Originally from New York, she has worked with artists such as Ziad Rahbani, Marcel Khalife, Najib Shaheen and Charbel Rouhana. Centrone began her studies in classical Arabic music with ‘ud, violin and riqq, under the tutelage of master percussionist Michel Merhej Baklouk.